Because his influence to our lives has been so significant, students will study Ben Franklin in language arts, social studies, and science in both 4th and 5th grade. 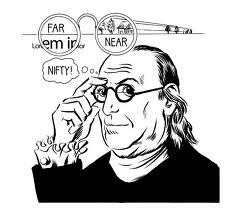 Bifocals: Franklin was both near-sighted and far-sighted and was frustrated by having to constantly switch his pairs of glasses, depending on what he had to focus on. Bifocals allow the wearer to look through the bottom of each lens to see things up close better, and to look through the top halves of each lens to see things that are far away. Franklin Stove: Ben lived at a time when people heated the insides of their homes by lighting fires. Because homes were made of wood this was dangerous because the homes could burn down. The homes would also fill with smoke and could cause families to suffocate. 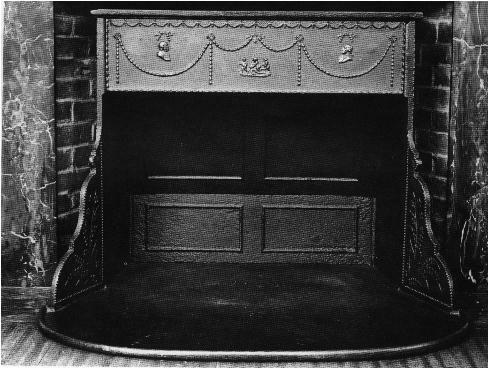 Franklin's stove, built in 1742, allowed people to warm their homes less dangerously and with less wood. Glass Harmonica (or Armanica): In the 1700's amateur musicians would perform on sets of singing glasses. Franklin saw these performers and decided to make a glass harmonica for professional musicians to use. He took different size wine glasses, removed the stems, drilled through the bottoms of the glasses, corked the holes, and mounted the glasses from smallest to largest on a horizontal spindle. The spindle rotated and musicians played the instrument by wetting their fingers and touching the edges of the rotating glasses. Sound was made by air vibrations coming from within the glasses. 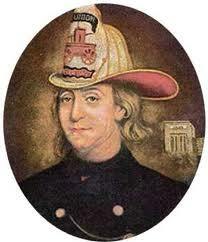 Franklin understood that lightning was electricity and saw that it was dangerous enough to light buildings on fire if they got struck. 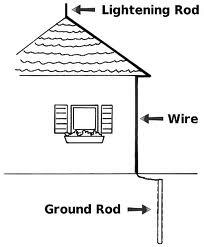 The lightening rod was made of iron and mounted at the tops of buildings to protect them. It would attract the lightning and channel it down the metal to the ground, where it would be harmless. 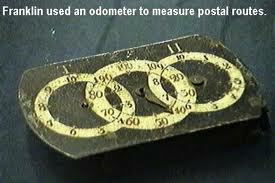 Odometer: An odometer is an instrument designed to measure distances by counting the rotations of gears. It was used by Franklin to measure the rotations of the axles of his wagon. Franklin was Postmaster and had to map out the mail routes for local towns. He saw that an odometer would be useful to measure the routes and keep track of distances. Odometers are now standard on all motor vehicles. 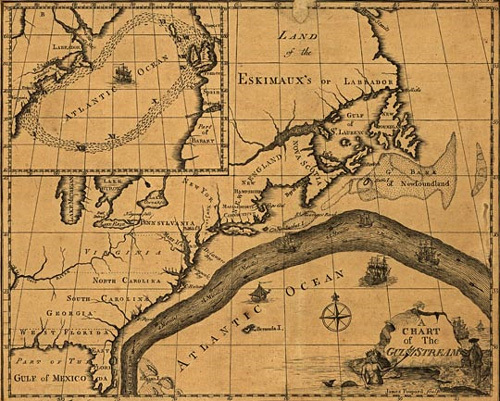 Gulf Stream: Franklin was interested in understanding why it took longer to get from England to America than from America to England using the same ocean routes. He was one of the first people to chart the Gulf Stream in detail and measure different temperatures in the Atlantic Ocean. In June 1752, Franklin and his son William attached his kite to a silk string and tied an iron key at the other end. Next, they tied a thin metal wire to the key and led it into a Leyden jar (a container for storing an electrical charge). Franklin flew the kite in a storm, though he stayed dry inside the barn, holding the dry end of a second silk kite string. Negative charges passed into his kite, down the wet silk string, to the key, and into the jar. But Franklin was fine because the dray silk string acted as an insulator from the charges on the key. Franklin's experiment showed that lightning was static electricity. Library Chair: Franklin was well known for inventing and adapting things to make them more efficient and use them to meet unmet needs. He altered a conventional open armchair by adding a set of short steps and using it as a library ladder to reach higher shelves in his library. It was later called the "President's Chair" because Franklin used it when he led the meetings of the American Philosophical Society at his home. Extension/Long Arm: Franklin loved books but had a hard time reaching books on high shelves. In 1786, he invented the "long arm," which was a wooden pole with a grasping claw at the end. This was very simple but it allowed him to reach any books he wanted in the library. Political Cartoons: Franklin created the first political cartoon - "Join or Die" - showing a dissected snake to represent what would happen to the colonies if they did not join together agains the British. It appeared in his Pennsylvania Gazette. His cartoons represented his political opinions using witty pictures/drawings. Since then, political cartoons are a regular part of newspapers and other media. Vitamin C: While Ben Franklin was alive, no one knew anything specific about Vitamin C. However, Franklin knew that eating citrus fruits, like oranges, limes, and grapefruits, could help people have healthier gums and skin and reduce instances of scurvy. 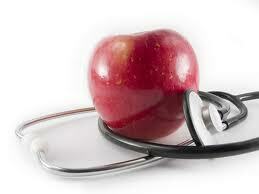 He encouraged people to eat more fruits and said, "An apple a day keeps the doctor away." Swim Fins: When Franklin was only 11 years old he invented swim fins because he was an avid swimmer and thought it was a good way to stay healthy. However, instead of going on his feet like today's fins, Franklin's fins were attached to his hands. Because he advocated the importance of swimming, he was inducted into the International Swimming Hall of Fame in 1968. 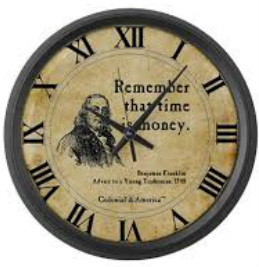 Franklin proposed the idea of Daylight Savings Time to increase the amount of available daylight during summer and decrease it during the winter in order to allow more productive work during the summer months. Clock Second Hand: Prior to 1772, no one needed to measure time in anything smaller than a minute. 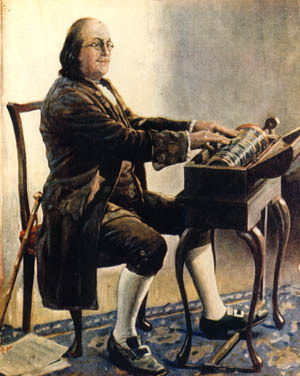 However, when Franklin was experimenting with electricity, he needed to time his experiments in more exact measurements and created the "second." He created this new unit of time and decided there should be 60 seconds in a minute. Then he added a second hand to his clock and was able to time more precisely how long it took for electricity to travel in his experiments. 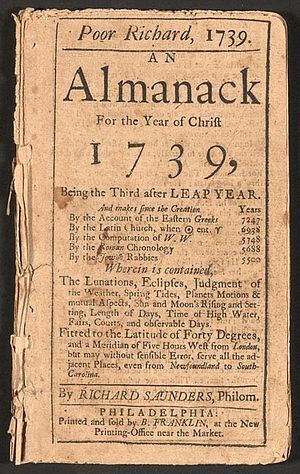 Almanac: Franklin published "Poor Richard's Almanack" from 1732 to 1758. It was written yearly and Franklin used the pseudonym "Richard Saunders" when he signed it. Inside, people read seasonal weather forecasts, puzzles, advertisements, household advice columns, and other information. Franklin sold 10,000 copies per year and it was a best selling pamphlet in the American colonies. Hospital: Ben Franklin believed the public should have services provided to improve their health. He launched a campaign to open a public hospital and gave money to create the nation's first hospital - the Pennsylvania Hospital. It helped to serve the poor and the mentally ill, two groups of people often neglected in colonial America. The U.S. Constitution doesn't guarantee happiness, only the pursuit of it. You have to catch it yourself.